In many Content Management Systems(CMS) or admin panels of websites we see the current date and time display in header portion. 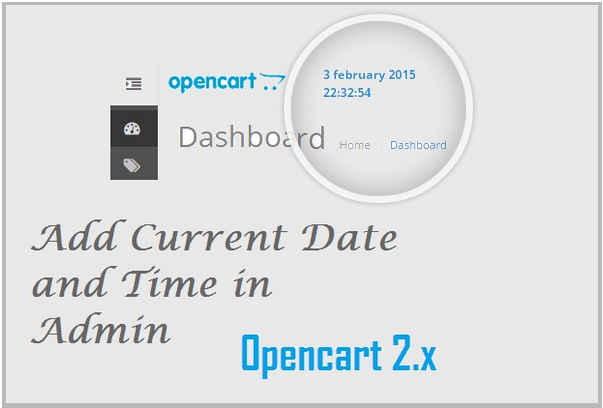 In this tutorial we'll see how to add current date and time in opencart admin panel. As we're going to add the time display in header portion, we have to modify the header file. So open the below file. Now we need to set the language variables. One thing to note is we need to add these variables in all the languages files the site is running. Here i've added variables in only default english language, if you have other language then you have to add them in other language file also. In order to add some css , open stylesheet.css file and add the below class.